Please be aware that there are strict speed limits in Brightlingsea Creek and the River Colne. These apply to all sailing and motor vessels at all times, with the exception that we are granted special dispensation from the harbour for our racing activities. 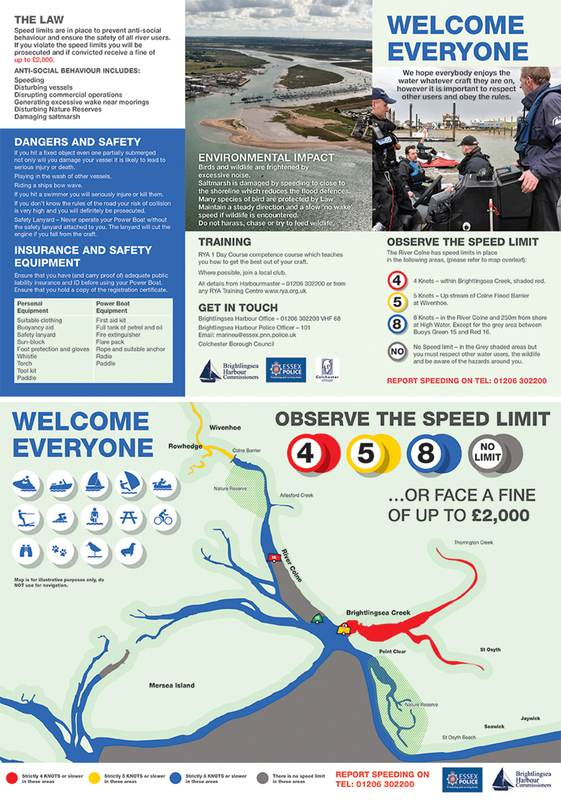 When you are on the water for pleasure the speed limits described in the leaflet below apply at all times. During racing competitors may proceed at their normal racing speed, but, as per our standard sailing instructions, multihulls are not permitted to fly spinnakers within the creek. RIBs must observe the speed limits at all times unless responding to an emergency.